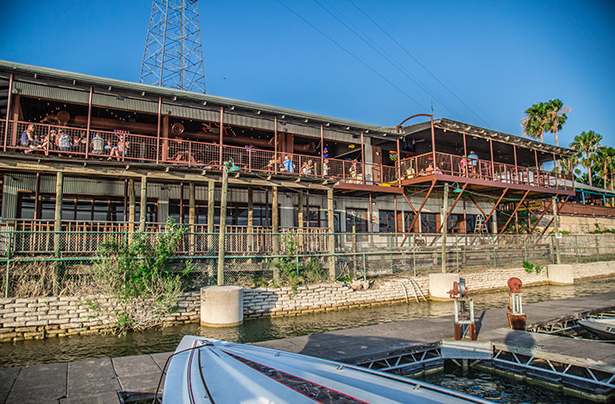 Shack 512, located adjacent to Sandy Creek Marina, on the shore of scenic Lake Travis, offers American Southern cuisine in a relaxed, beautiful Hill Country lake setting. They are a casual, outdoor venue offering spectacular panoramic views of Lake Travis and the surrounding hills. Shack 512 is accessible by land or by water, we welcome all and have car parking and plenty of public boat parking next to the Sandy Creek Yacht Club. We highly recommend them for Sunday Brunch! Beachside Billy’s offers an upscale casual restaurant specializing in hand-cut steaks and fresh seafood. The have a beach bar and grill with the best burgers on the lake. Picnics are permitted, so load up the cooler and come on out. They have plenty of options for the kids as well, with a great little water park to keep them busy. They ARE accessible by boat. Beachside Billy’s has boat access docking via their own courtesy docks. On occasion, they have an Adult Night as well, with fun live bands, and adults only get to play on the slides, play volleyball, and dance to some great music! Beachside Billy’s offers fun rides that kids and parents will enjoy. The Pirate Ship is pirate themed play area where children can roam and explore, there is a slide included on the ship, even a neat waterfall for the kids to cool off in. Gator’s Crossing offers a challenge where children must leap from one float to the next, which has a rope for added support, to get to the other side. Parents can help children make their way across if needed. For those who want to relax and soak up the sun, then the Lazy Lagoon is the perfect spot. The Lazy Lagoon features a waterfall fountain in the middle of the lagoon where guests can cool off if they get too hot. The Sidewinder is a fast-paced ride that is sure to give guests thrills. 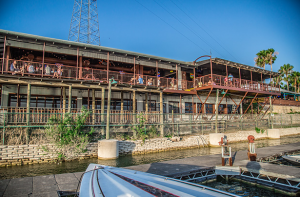 Ernie’s on the Lake(formerly Carlos N Charlies) is a floating Lake Travis restaurant and bar located at Emerald Point Marina on Lake Travis. 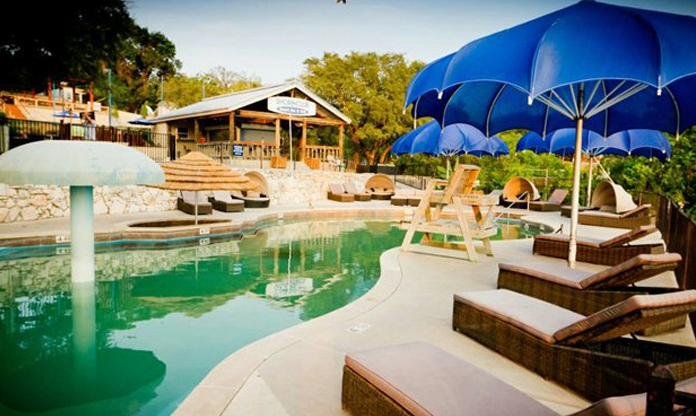 Access by road and by boat with a large dock to park all those you visit via watercraft on Lake Travis. This would be considered the busiest restaurant and bar on Lake Travis. Lots of indoor and outdoor dining including a live music palapa outdoor bar and dance floor. Great food and drinks with the lake’s best Happy Hour and the music just keep coming. Ernie’s on the Lake…..where the good times float !